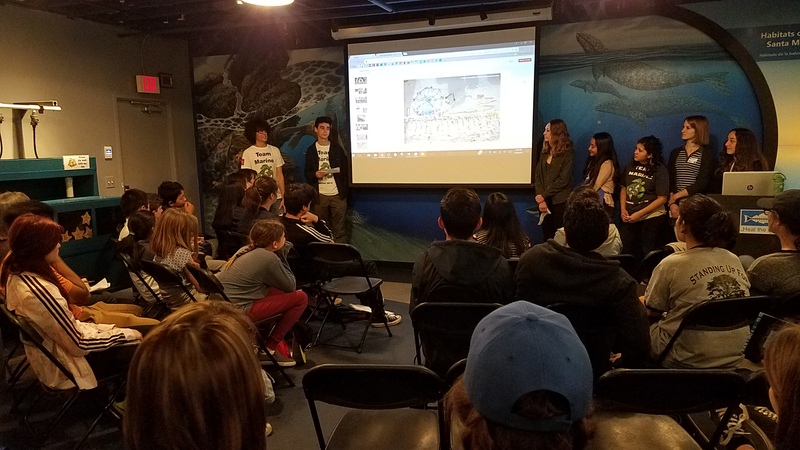 On Sunday, January 29th, we gave a slideshow presentation to local teen environmental clubs at the Sea the Change Youth Summit put on by Heal the Bay at the SM Pier Aquarium. 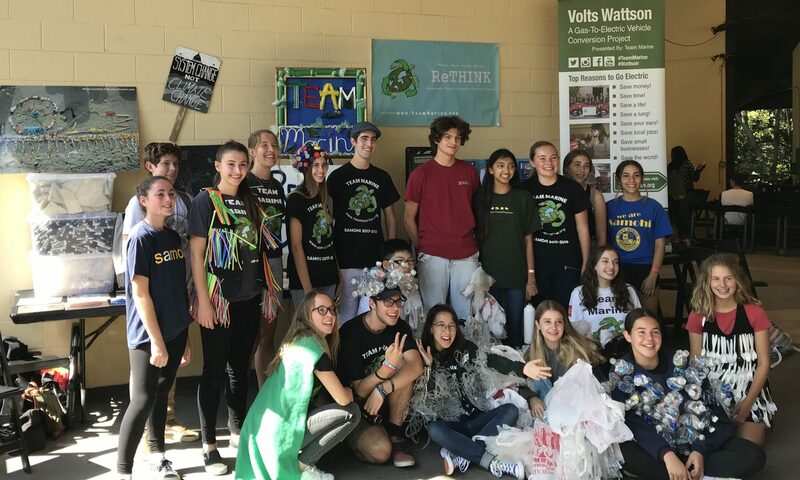 We presented our methods of communication as a team, as well as examples of our past eco-art projects, through a powerpoint presentation filled with our past projects and tips for groups interested in pursuing similar eco-art projects. 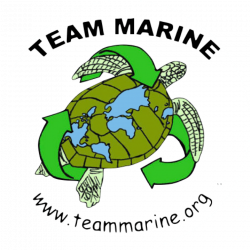 We’d like to thank Heal the Bay for organizing this event and allowing Team Marine to act as an inspiration to other schools and hear ideas from other environmental clubs! 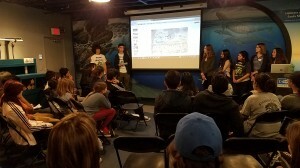 Thank you to the Santa Monica Pier Aquarium for hosting this event!